What are the top landmarks in Las Vegas? This world-famous hotel is home to gorgeous botanical gardens, a unique glass sculpture and an elaborate fountain show. Enjoy a trip to The Linq, a well-known attraction in Paradise. Discover the area's entertainment choices and casinos. Hoover Dam is a well-known landmark worth seeing in Boulder City. Stroll along the area's lakeside or simply enjoy its restaurants. Explore the great outdoors with a trip to Red Rock Canyon National Conservation Area, a popular green space in Las Vegas. Discover the area's entertainment choices and casinos. 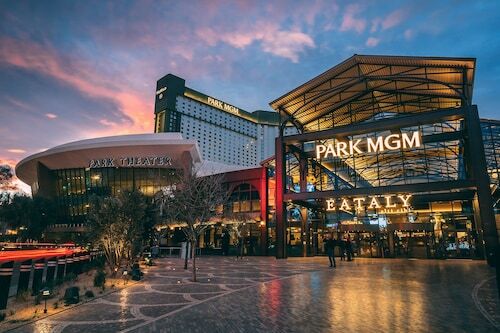 Step off the Strip and into the original and authentic heart of Las Vegas, where smoky bars, quirky museums and family-friendly attractions exist side by side. The Summerlin neighbourhood welcomes visitors, with its convenient options for restaurants. The Green Valley neighbourhood welcomes visitors, with its convenient options for restaurants. You can satisfy your cultural palate with shopping and casinos. Sunrise Manor is a welcoming neighbourhood with many tasty options for restaurants and bars. You can satisfy your cultural palate with casinos and shopping. Winchester is a neighbourhood that welcomes all visitors. Loved the Park Theatre and great for the arena too!First trip to Las Vegas and would happily stay there again. 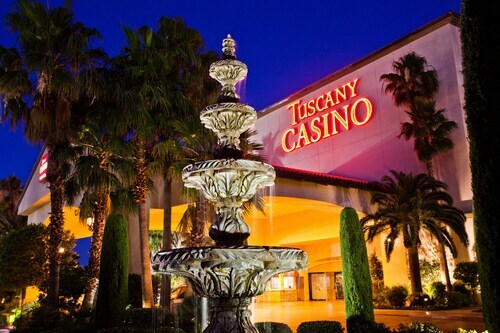 The hotel is in the heart of Las Vegas and in close proximity to everything you could need. Would highly recommend and if returning to Las Vegas would book the Aria again. Well what a find, my first visit to Las Vegas and what a place to stay, it was just perfect. My very first visit to Las Vegas, we had a quick friendly check in at the Mirage, we had booked a strip view room (overlooking the volcano and could see part of the strip), the room itself was a good size, the beds were very comfortable, really happy with the hotel, loved our stay and would stay again. Going to Vegas? Live it up in the great outdoors. Opens in a new window. Las Vegas: His way/Her way. Opens in a new window. Vegas alfresco. Opens in a new window. The ultimate way to spend 24 hours in Vegas. Opens in a new window. Las Vegas in your pocket. Opens in a new window. I like everything about this property. We arrived early and were given the option to upgrade our room if we wanted early entrance. We upgraded for 40.00 more per night and received a beautiful room in the Rush Tower. (beautiful room) So happy with all during our 3 night stay. 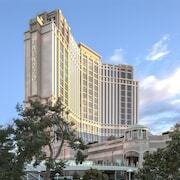 We always stay at Golden Nugget when in Vegas and will be definitely being stay there again. It was just busy a day at the hotel. Nothing was wrong just busy. 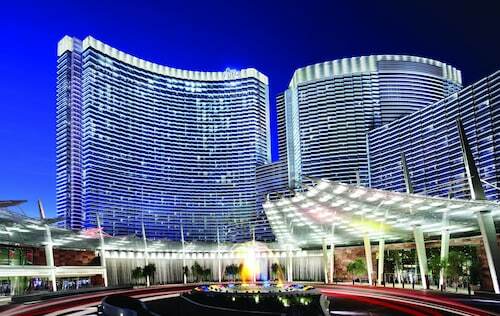 Las Vegas is a destination that should be visited at least once by everyone who gets the opportunity, as the sheer enormity and spectacular design of the city's famed hotels and casinos will be enough to amaze them. But Vegas certainly offers more than a pretty façade, as this city is renowned for the vast amount of activities and luxurious amenities it has to offer its guests, whether they’re taking in a major sporting event, enjoying a Cirque du Soleil show, or relaxing by the many lavish pools. When you book accommodation in Las Vegas you're booking one of the most popular travel destinations in the world and is seen by many as the planet’s entertainment capital. With a bustling nightlife, abundant casinos for gambling, and with some of the world’s finest restaurants and shops, it’s easy to see why hotels in Las Vegas have become so popular. Many grand Las Vegas hotels and casinos dominate the Las Vegas Strip, but the Stratosphere Tower is the grand daddy of them all, and at 1,149 ft is the largest free standing observation tower in the US. There’ll never be a dull moment for you in Las Vegas with lots of regular entertainment in the hotels, countless clubs for you to visit, raucous shows ONE and Love by Cirque du Soleil or Le Reve's The Dream and amusements parks with lots of fun rides for the thrill seekers among you: perfect for a high octane Vegas city break. If you want a break from the strip, look no further than the Hoover Dam and Red Rock Canyon, which are both a short drive away and will provide you some breathtaking memories and wonderful photo opportunities. Or how about a trip to one of the wonders of the natural world, the Grand Canyon (best enjoyed with a helicopter trip. While sites like the Eiffel Tower of Las Vegas and the Fountains of Bellagio might be the places that best symbolise Las Vegas today, Downtown Las Vegas was once the bustling centre for hotels and gambling, and today is commonly considered the city’s main business district. The part of Downtown that is best enjoyed by visitors is the iconic Fremont Street, which features all the historic and classic Vegas casinos and games. 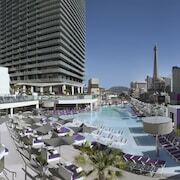 There are many luxury hotels in Las Vegas, for those of you looking to visit the city in style. 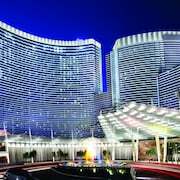 If you are looking for a short stay in the city and simply want to sample the atmosphere of one of the world’s most famous cities, then there are some wonderful budget hotels in Vegas that will be perfect for your stay. 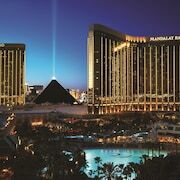 With so much to see and do, a visit to Sin City is certain to be a trip to remember. 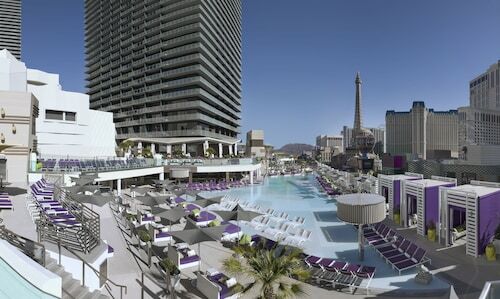 To begin planning your Vegas holiday and reserve your hotel room, just make use of Expedia's helpful search tool now. 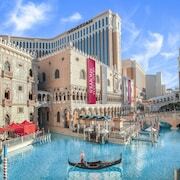 If you like the Las Vegas then why not explore some of the America's other magnificent cities? 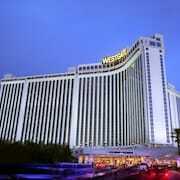 Book great deals on hotels in Los Angeles and New Orleans hotels with Expedia. Explore Las Vegas with Expedia's Travel Guides to find the best flights, cars, holiday packages and more!